The Carboniferous ‘Cover’ Rocks of the Eastern Berwyn Hills near Trefonen. Photo 35 (above). A striking panorama from the summit of Moelydd Uchaf (285m) looking south-east towards the hills of Shropshire. The rocks in the foreground are layers of Carboniferous limestone, which at this location still form a preserved ‘cover’ of younger rocks above the older intrusive igneous rocks, now exposed by erosion, which form the lower slopes of Moelydd Uchaf and several other neighbouring hills. Photo 36 (left above). Close-up view of the distinctive greyish white layers of Carboniferous limestones preserved just east of the summit of Moelydd Uchaf. 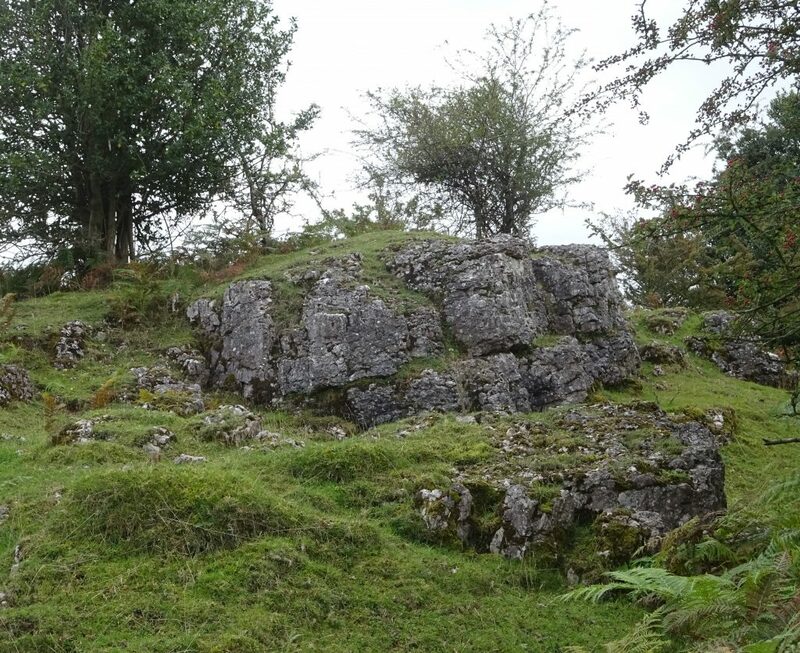 These ‘cover’ rocks all dip eastwards here, down towards the Cheshire plain, and away from the core of the uplifted Berwyn Dome structure. Photo 37 (right above). 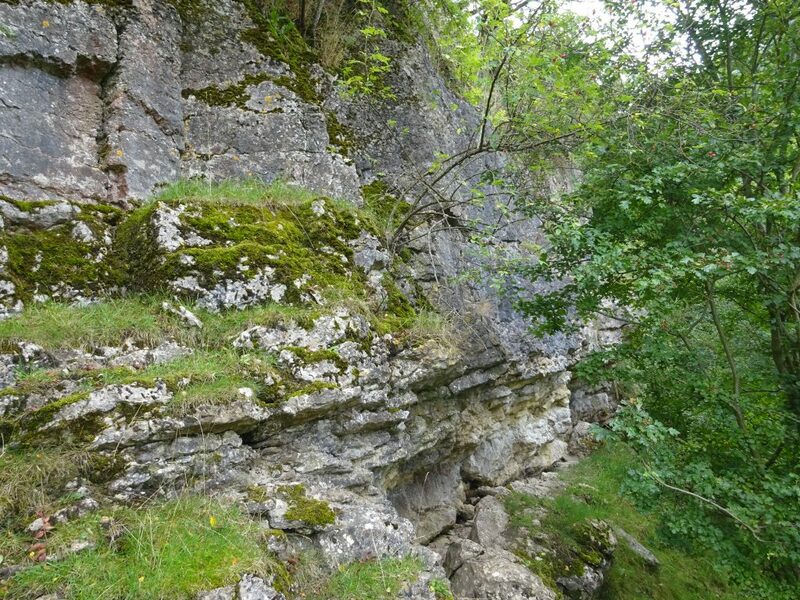 The nearby steep hill of Craig Sychtyn (290m) is also capped by the distinctive layers of Carboniferous limestones, whilst it’s lower slopes are similarly composed of hard, resistant porphyritic felsite intrusive rocks.